A winegrowing of 12 ha (11 in red and one in white Pacherenc), on a ground thin, silico-argillaceous, very stony, where the southern exposure full to mid--slope makes it possible to obtain wines of very great quality. The vines are planted at the top of a slope, and it is the only winegrowing of madirannais to have the vines of only one holding. 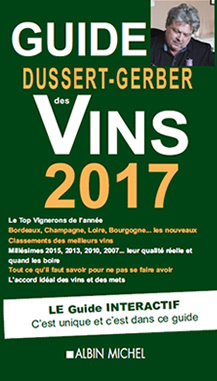 The thirty years planted grape varieties of average age are composed of 50% Tannat and 50% Cabernet franc, and for Blanc, primarily of Petit Manseng. One matures wines of tradition here, proposing a range of vintages over 10 years and more, which is very rare. 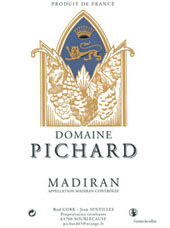 Thus excite your papillae with Madiran Tradition 2009, combining aromatic concentration, roundness of tannins and persistence in mouth, with these notes of violet, leather and very characteristic blackcurrants, wine of a garnet-red, firm and typified color. The 2008 are complex and harmonious, with nuances being defined by raspberry aromas, of strawberry of wood, a wine of deep color to the purplished reflections, with full tannins, all in mouth, a fleshy wine, to open on lamb, for example. The cuvée Aimé 2009, very representative of this great vintage, with the nose present with notes of violet, liquorice and prune, a wine rich color, traditional and concentrated, combining smoothness and structure, full in mouth, of beautiful evolution. The 2008 very powerful and very aromatic, are still closed, fleshy, rich in bouquet as out of matter, all in mouth, with very well-balanced tannins, firm and very full. It there has still Madiran cuvée René 2007, rich color as out of matter, is fleshy, intense with the nose as in mouth, the overripe fruit scents, with very well-balanced tannins, a typified and quite fleshy wine, with the nuances of leather and blackberry finally, very promising. Beautiful 2006, matured very well out of barrels, a very tasty wine, of beautiful robe the steady, with pepper and blackcurrant nose, loose thanks to silky and powerful tannins at the same time, of excellent evolution. The 2005, with a strong color, of good base tannic, rich, with the connotations characteristic of prune and violet, are all in mouth, fleshy, quite fullbodied, with these quite attractive nuances of macerated fruits and humus. Pacherenc-of-Vic-Bilh the 2010 is delicious, of robe but pale, with scents floral and roasted with the nose, dense, very aromatic, all of structure and perfumes, harmonious.